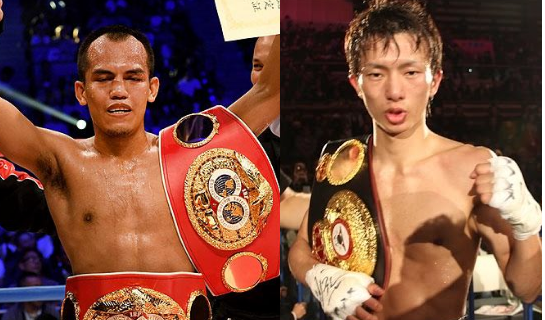 Current IBF World Light Flyweight Champion Milan "El Metodico" Melindo is set to face the current WBA World Light Flyweight champion Ryoichi Taguchi of Japan on December 31, 2017. Melindo is a 29 years old boxer with a record of 37W(13KO)-2L. He was called El Metodico because of his smart move and tactical skills. Melindo won his IBF World Light Flyweight Title when he knocked out Akira Yaegeshi of Japan in the 1st round after that he successfully defended his title against Hekkie Budler of South Africa via Split Decision. On the other hand, Ryoichi Taguchi is a 30 years old boxer from Tokyo, Japan. Taguchi has a record of 26W(12KO)-2D-2D. He won his WBA World Light Flyweight Title against Alberto Rossel in 2014 and he successfully defended it for 6 times. This fight would be one of the toughest fights so far for the Japanese. Melindo vs Ryoichi Taguchi fight will be held at Ota-City General Gymnasium, Tokyo Japan.